Pipedrive and Salesforce are both CRM software helping sales teams organize and manage customer relationships with features like contact management tools and advanced reporting. Pipedrive pricing starts at $12.50 and is great for businesses wanting a user-friendly CRM. Salesforce pricing starts at $25 and is made specifically for large businesses and sales teams. Pipedrive is a good choice for businesses and sales teams that want a CRM software with an intuitive interface and customizable dashboard tools that allow users to visualize the sales pipeline at a glance. Initial setup and implementation time are rapid, and customer support is available right in the browser-based app. Salesforce is the right choice for mid- to large-sized organizations and sales teams. Its ultra-robust feature list includes lead, contact, and sales management tools, contract and order management, and a visual app builder. Salesforce is considered to have a steep user learning curve, and independent or provider-led training is recommended to set up and implement the CRM. 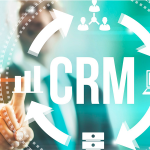 CRM software helps sales teams collect and organize leads and customer data with contact management tools and improve productivity by automating routine tasks. Many CRM solutions also offer customized sales processes, configurable dashboards, and reporting tools. CRM software should be affordable, data should be accessible and easy to maintain, and it should be backed by responsive customer support. Price – We evaluated the pricing structure of both CRM providers and compared package costs on a per-user basis. Contact management – We compared tools for creating, editing, organizing, and searching contacts as well as how they integrated with workflow automation tools. Workflow automation – We compared features that allow users to automate common tasks like follow-up emails and reminders. Reporting tools – We compared tools that provide data, analysis, and insight to help managers and teams monitor the sales pipeline. Customization tools – We compared features that allow users to customize sections of the CRM, like dashboards, reporting, and sales processes. Initial setup and implementation time – We assessed approximately how much time it takes to set up and implement each CRM. Ease of use – We evaluated how easy and intuitive each CRM is to use. Customer support – We evaluated the type of customer service support each provider offers. When comparing the two, we recommend Pipedrive for small or emerging businesses that want an affordable CRM with enough tools to organize teams and manage customer relationships but doesn’t suffer from feature overload. Pipedrive offers content management, sales pipeline tracking, email tracking, advanced reporting, and phone-based customer support. Pipedrive vs Salesforce: Who Wins? Pipedrive pricing starts at around $13 per month, beating Salesforce pricing, which starts at $25. However, Salesforce offers nearly every tool and functionality a sales team could require. That being said, Pipedrive includes a collection of features, like contact management and workflow automation, to accommodate the needs of most businesses without overburdening the system with features teams won’t use. Pipedrive offers three plan levels: Silver, Gold, and Platinum. Prices range from $12.50 to $49.17 per user per month, which is about average for small business-centric CRM software on the market. All plans include goal tracking and setting, a customizable dashboard, drag-and-drop calendar, and customer support via live chat and email. Pipedrive Silver includes personal and company-wide goal setting and tracking and smart email BCC to copy emails directly to Pipedrive. This tier also includes a drag-and-drop calendar view and customer support over live chat or email. This plan is a good choice for sales teams wanting a CRM to keep them organized but not overwhelm them with features. Customers on this plan continue to use their own email provider and use the Smart Email BCC tool to connect emails with deals in the pipeline. Agents and teams manually add individual email conversations, which reduces contact history bloat. The ability to read and send emails without leaving Pipedrive is available as a feature of the Gold plan. This tier lacks workflow automation tools, a scheduler, and multiple dashboards found in Pipedrive’s upper levels. It also lacks lead management, routing, and assignment tools offered by Salesforce. However, at $12.50 per month per user, Pipedrive Silver pricing is on par with other first-level paid CRM software plans on the market and half the cost of Salesforce’s Essentials level. Pipedrive Gold adds tools that automate email delivery and other repetitive tasks and a built-in scheduler to allow team members to share their booking availability with prospects. This level also features a data collection tool that pulls information about contacts from internet sources like LinkedIn. This tier is a good fit for teams that want to spend more time on sales and free up time spent on recurring tasks and research tasks. This level also allows teams to send and read emails without leaving Pipedrive. Teams can access deal notes and conversation histories while creating emails, and all responses are automatically connected back to the deal. This time-saving feature keeps agents from switching back and forth between Pipedrive and an email client, and also keeps important client emails from slipping through the cracks. This tier doesn’t offer the option to run revenue forecast reports or sort salespeople by teams, as found in the Platinum level. It also lacks Salesforce’s collaborative forecasting and case management features. At $24.20 per month per user, this level’s pricing is about average for the industry and roughly equal to Salesforce’s Essentials plan. Pipedrive Platinum adds team goal setting and tracking, as well as a multiple dashboard feature so users can rename dashboards, hide data widgets from view, and reposition widgets in a preferred order. This tier also adds revenue report forecasts and the ability to organize salespeople by team, and is right for businesses with multiple sales teams that work on different goals or projects. This level also features custom visibility settings and unlimited custom permissions. These are valuable tools for businesses that want to segment private work areas and restrict its data from being viewed by anyone outside that group. However, this tier doesn’t offer a way to configure contracts, quotes, and orders, as Salesforce does. It also doesn’t feature Salesforce’s rules-based lead scoring to determine how engaged a prospect is with your brand, but at $49.17 per month per user, this level’s features are on par with similarly-priced CRM alternatives. The Salesforce Essentials plan costs $25 per user per month for up to five users and the Lightning Professional plan is $75 per user per month for unlimited users. Features include account, contact, lead, and case management tools. Additional enterprise-level Salesforce plans are available for $150 to $300 per month, depending on the plan selected. Salesforce Essentials features an account and contact tool set that includes an activity history, key contacts, internal account discussions, and a record of customer communications. Lead management tools track, filter, and qualify new prospects, and case management tools route inquiries to the right agent for resolution. This tier also includes duplicate blocking and configurable reports and dashboards, and is right for teams of five or less. This level doesn’t include features found in the Professional tier that large organizations with multiple sales teams may want, like collaborative forecasting or lead assignment and routing. At $25 per month per user, this level is more expensive than the first-tier price plans offered by Pipedrive and other CRM software providers. Lightning Professional adds lead assignment and routing tools and rules-based lead scoring to the features offered in the Essentials plan. Users can also create contracts, quotes, and orders directly in the platform and see a complete view of the sales pipeline with collaborative forecasting. This tier is a good choice for large businesses wanting CRM tools that emphasize lead management. Customer support across both tiers includes online case submission with a two-day response and unlimited on-demand, online training materials. For access to increased support options, workflow automation tools, and unlimited roles and permissions, Salesforce offers additional plans ranging in price from $150 to $300 per month. From setup and implementation to everyday use, CRM software should be straightforward and easy to maintain. Features and tools should be intuitive and user-friendly so sales teams have more time to spend on customers and leads. While comparing Pipedrive and Salesforce, we considered each provider’s ease of use. Pipedrive takes only a few minutes to set up and customers say its customizable dashboard is intuitive and very simple to use. It’s designed to display the full sales pipeline, making it easy to stay on track every step of the way. Salesforce customers say setup can take several hours or longer depending on the selected plan and level of customization desired. Sales agents may also require training on how to use the CRM’s tools and features. For these reasons, some businesses find it necessary to have a dedicated Salesforce administrator on staff. CRM software is the foundation many successful sales teams, so it’s important to know the product is backed by responsive customer support and service in case something goes wrong. While evaluating Pipedrive and Salesforce, we took a look at the types of customer support each provider offers with their plans. Pipedrive’s paid plans include live chat and email support. The company also offers an online knowledge base, training videos, and phone support Monday through Friday, 9:00 a.m. to 5:00 p.m. in EU and U.S. time zones. Salesforce Essentials and Lightning Professional plans include online case submission with a two-day response and unlimited online, on-demand training. The company also offers an online knowledge base, free self-led learning materials, a self-service portal, and customer communities where users can interact with other Salesforce customers. When considering CRM software, customer input can be helpful for making a final decision. While evaluating Pipedrive and Salesforce, we checked our User Review Pages to learn what each company does well and what each one doesn’t. Our readers give Pipedrive high marks, with a five out of five-star rating. Customers say Pipedrive’s visual layout is great at keeping teams on track and it’s easy to move deals from one pipeline to another. However, some readers report a delay in receiving notifications. For more user reviews, visit our Pipedrive User Review Page. Our readers give Salesforce good reviews, with an average rating of four out of five stars. Users say the platform generates helpful reports and excels at data tracking. However, some customers say its pricing is too high for smaller businesses. For more user reviews, visit our Salesforce User Review Page. If your business requires some of the more advanced features not found in Pipedrive, there are also other affordable alternatives to Salesforce you can consider, like Freshsales, Insightly, and Zoho. 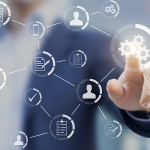 All three of these products require little effort to implement and offer unique benefits as well as a user-friendly interface, making it easy to start using as part of your CRM strategy. Check out our reviews of the best CRMs for more details. Freshsales, for example, is our top pick as an alternative to Salesforce, as it offers the most direct, one-to-one comparative features with paid plans starting as low as $12 per user per month. It also offers a forever free plan, which gives an unlimited number of users access to critical functionality like contact management for free with no time limit. Visit Freshsales to get started for free today. Businesses that want a CRM similar to Pipedrive, but with tools for file sharing, configurable profiles, and Google App and Gmail integration, should also consider Insightly. Insightly also offers mass email, lead and assignment routing, smart contacts, and customer activity capture. Insightly pricing ranges from $29 to $49 per user per month as well as a free option for one to two users. You can visit their website to sign up for a 14-day free trial of its paid plans today. Businesses wanting a CRM with lead management tools like Salesforce as well as the ability to capture social media leads at a lower cost should check out Zoho. In addition to integration with social media channels like Facebook and Twitter, it features lead management, assignment and routing, duplicate blocking, and email tracking. Zoho’s pricing ranges from $12 to $20 per user per month, depending on the plan selected, with a free version for up to three users. Pipedrive and Salesforce both deliver great CRM software systems with similar features. While Salesforce has tools for every step from the sales process, from qualifying leads to closing sales and beyond, Pipedrive stands out for its ease of use, customization, and affordability. Businesses that want CRM software that’s easy to set up and comes with a great set of small business-friendly features should check out Pipedrive. The company offers a 14-day free trial with no credit card required. Visit Pipedrive’s website for details. Industry-Specific CRM: Which One is Right for Your Business?